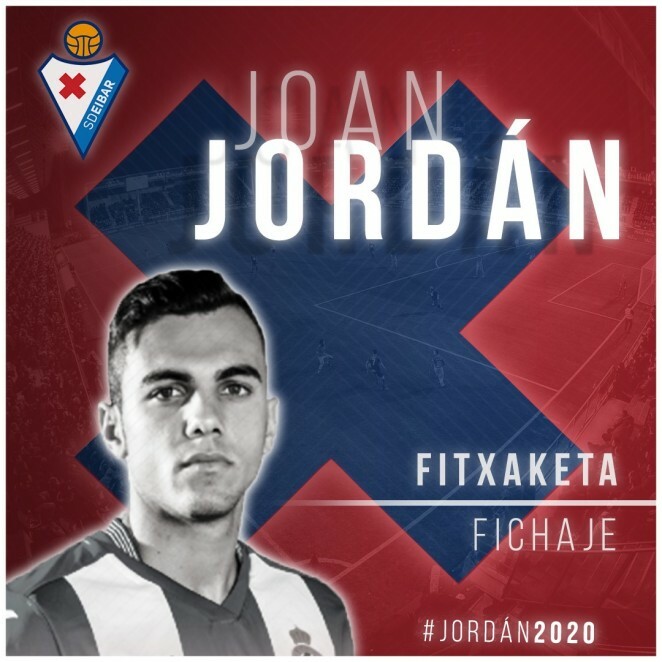 Catalan-born midfielder Joan Jordán today put pen to paper on a deal that ties him to SD Eibar until June 2020. The three parties reached an agreement for Jordán's transfer, with the player today completing his medical, whilst he is set join up with his new teammates for his first training session at Atxabalpe tomorrow, after which he will be unveiled in the Ipurua media room at 13:00. Joan Jordán (Regencós-Girona, 1994) came up through the youth ranks at Espanyol, where he went on to make a total of 12 first-team appearances over the course of two seasons. He spent last term out on loan at Real Valladolid, where he made 35 appearances and scored three times. In his twelve league outings with Espanyol he was on target once, with this strike incidentally coming at Ipurua on Matchday 19 of the 2015/2016 campaign in a game that Eibar went on to win 2-1. Eibar's latest signing is a central midfielder who boasts real quality, excellent vision and an impressive physical presence.